Lake Vermilion Fisheries plan covering the 2017-2022 window is aimed at preserving Lake Vermilion as a sustainable, multi-species fishery. In addition to addressing fish populations, it also focuses on AIS (aquatic invasive species), habitat, double-crested cormorants and fishing tournaments, incorporating data collected over the past twenty years. 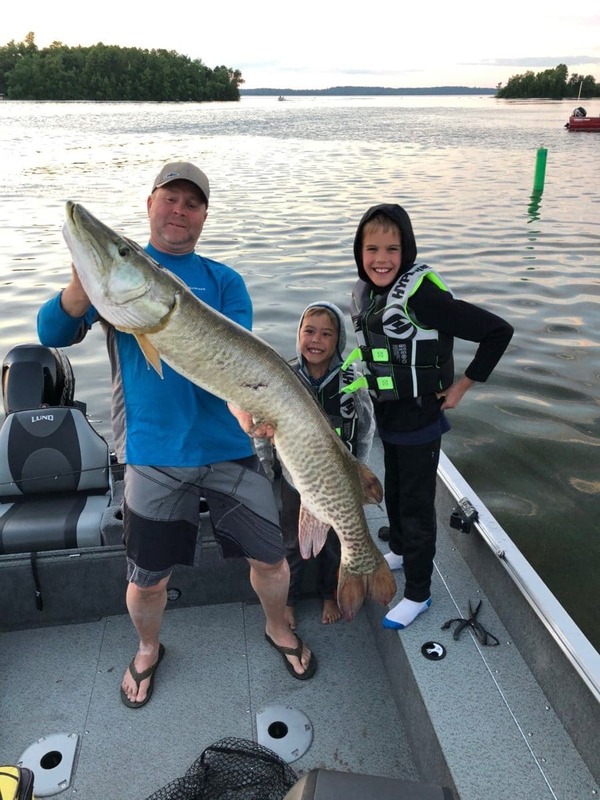 The chance to catch a trophy musky over 50 inches drives the Muskellunge goal, and was the area that received the most input during the public comment period. Comments suggested a larger stocking effort, bumping up the 4,000 fingerlings every 2 years and discretionary off year additions. The end result is a new plan to stock 3,000 fingerlings per year, so 6,000 every 2 years with another discretionary 2,000 each two years, versus the previous 4,000 every 2 years. Although it seemed a little more inconsistent this past season, Lake Vermilion served up a good number of 50″ + fish for our guests. Walleye objectives are multi-faceted with emphasis on numbers, natural reproduction, year class strength, summer harvest levels and catch rates. 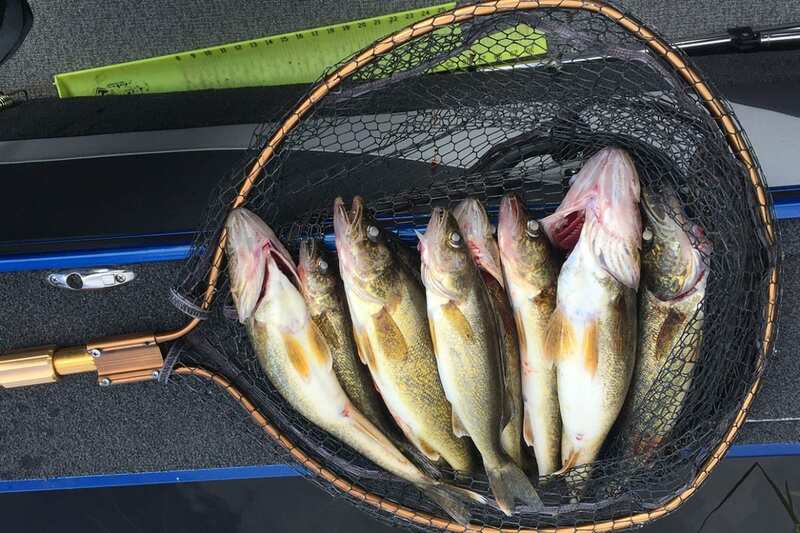 According to an article in the August 10, 2018 Outdoor News, “Commenters asked that fingerlings be stocked on the higher-pressured west side of the lake to increase the number of keepers available there, though the official DNR response was that it’s not currently a biologically sound management activity because it wouldn’t noticeably increase walleye abundance or angler harvest.” Overall 2018 walleye fishing for our guests was solid in terms of “eaters” and big ones released. The large number of walleyes just a bit too small to keep points to a great next couple years for keeper walleyes. Northerns garnered the third most comments and they were varied in their views. The current 24 – 36″ protected slot with one fish over 36″ is being reviewed. As the size of Lake Vermilion northerns has increased under the slot, it is likely a slot will remain. A self-sustaining population that supports harvest is the goal for northerns, bluegill and crappie. Maintaining perch numbers is key as they are the prey base for other sportfish. We saw better perch catch numbers and size among our guests in 2018. 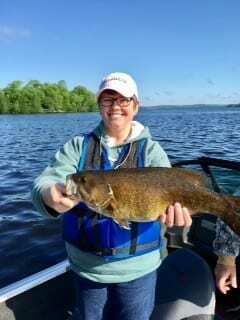 Lake Vermilion bass fishing got high praise. The plan’s emphasis on bass is on maintaining the self-sustaining quality of both largemouth and smallmouth. In both cases, the status of the fishery is positive – nice size and plentiful numbers. One area of discussion deals with avoiding tournaments during prime spawning season, which happens later up on Lake Vermilion. Lastly, the creel surveys that have taken place 2 of every 6 years will take place every 4 years instead.